CBN Approves N2b Facility for Poultry Consortium at Shonga Farms. – Royal Times of Nigeria. 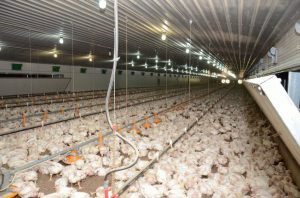 The Central Bank of Nigeria (CBN) is to boost agriculture in Kwara State with N2billon agriculture loan facility to Poultry syndicate of Shonga Farms Holdings Limited. Mr. Godwin Emefiele, was at the Shonga Farm, Edu Local Government Area of Kwara State, along Senate President Bukola Saraki and Governor Abdulfatah Ahmed to inspect the farm. The CBN Governor, Mr. Godwin Emefiele, who dropped the hint while fielding questions from newsmen in Shonga, Edu Local Government Area of Kwara State, after an inspection of the farm, said the facility is to support the investor’s expansion plans. The CBN governor, who expressed satisfaction with what he witnessed on the farm, said the N2b will be provided at low interest rate of 9%. 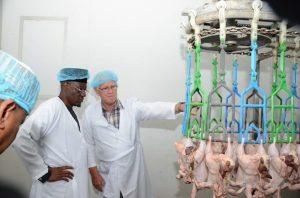 He also described his visit as an eye opener, noting that there are several opportunities to tap from Shonga Farms and the poultry value chain as a whole to improve the country’s economy. The CBN Governor, therefore, praised the state government for its initiative and called on other states of the federation to emulate the Kwara commercial agriculture model as a way of diversifying the economy. 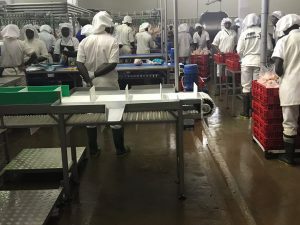 He said Shonga Farms was a practical example of how governments can collaborate with the private sector to deliver real dividends of democracy such as jobs and agro-allied prosperity. 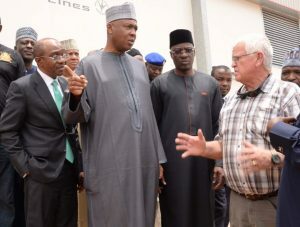 Also speaking the Senate President, Dr Bukola Saraki commended the state governor for sustaining the vision of Shonga Farms and improving on it. He also appreciated the CBN Governor accepting the invitation to visit the farm and for approving the loan facility. He explained that purpose of the visit was to identify challenges confronting the farmers as well as new opportunities available for investment at the farm. 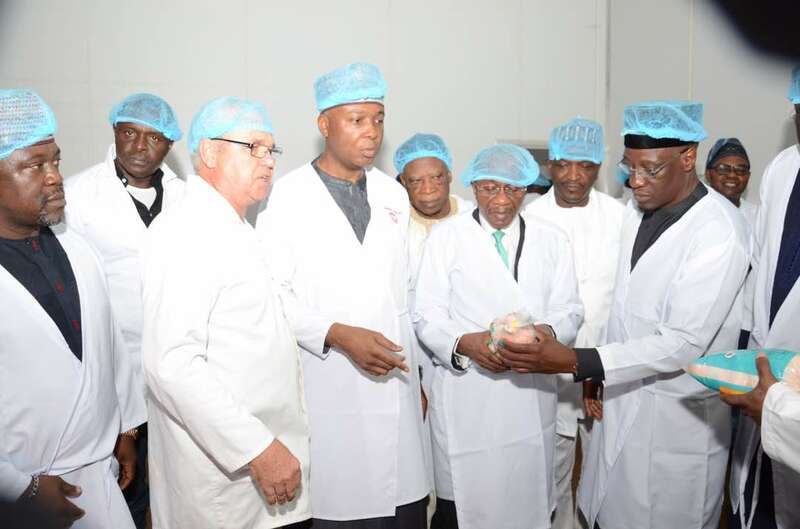 Dr. Saraki also pledged the National Assembly’s support for agribusinesses in the country through the appropriate laws and effective oversight of the relevant agencies. On his part, the state Governor, Alhaji Abdulfatah Ahmed thanked the CBN Governor and the Senate President, who he described as the pioneer of commercial farming in Kwara State, for the visit and support for agriculture in the state. He said the state government has established an Off Taker Demand Driven Scheme based on the lessons learnt from the Shonga Model as a means of empowering farmers, creating jobs and establishing Kwara State an a major agriculture hub in the country.